The company faces a rising death toll in the country; it currently stands at 134, with 199 people still unaccounted for. Iron-ore mining giant Vale (NYSE:VALE) has a lot on its plate following the disastrous collapse of Dam 1 of the Córrego do Feijão mine near Brumadinho at the end of January. The company faces a rising death toll, which currently stands at 134 with 199 people still unaccounted for. Brazilian courts and regulatory authorities have been shuttering other similar Vale assets throughout Brazil — including the complete cessation of activities at Brucutu iron-ore mine in Minas Gerais and court orders to halt the use of tailings dams. 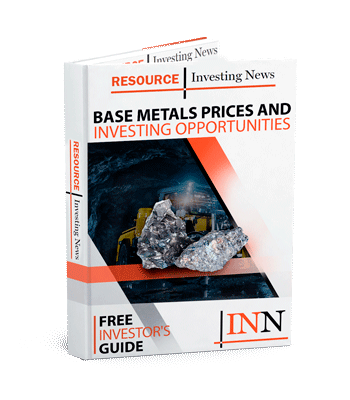 Learn to profit from base metal stocks this year! At 30 million tonnes of iron-ore per year, Brucutu accounts for almost 9 percent of the company’s output. Authorities in Brazil have so far arrested five people in connection with the collapse. The Brazilian government is seeking to sooth community fears of any sort of repeat of the disaster, which was captured on security footage released earlier this week. The company has said that the speed of the collapse was the reason why warning sirens did not go off to warn nearby workers and civilians, as the warning system itself was destroyed before anyone could raise the alarm. In the immediate aftermath of the disaster, Vale CEO Fabio Schvartsman said that Córrego do Feijão was a surprise because external audits given to the company reported that the dam was stable. He said that the most recent audit was dated September 26, 2018 — only four months ago. However, on Tuesday (February 5) Reuters reported that a report commissioned by Vale in 2018 highlighted concerns over drainage and monitoring systems despite certifying the dam as safe. The report, which was last updated in August 2018, recommended a number of improvements for the safety of the structure, and also said that the dam adhered to the minimum legal requirements for stability. Vale has said that is followed the recommendations made by the company that carried out the audit, German-based TÜV SÜD. The company is currently under intense questioning from the government, courts, community and media with many asking how it could have a second tailings disaster on its hands following the environmental destruction wrought by the Samarco tailings dam collapse in 2015 — a disaster for which Vale is still paying the price. Vale’s share price suffered a precipitous drop on the New York Stock Exchange in the immediate aftermath of the disaster, falling US$11.38 from a pre-disaster value of almost US$15. In the weeks since, it has recovered slightly to US$12.11. On the Brazilian stock exchange, the B3, Vale’s share price shared the same journey; a rapid drop followed by a minor recovery to 44.52 real. Securities Disclosure: I, Scott Tibballs, hold no direct investment interest in any company mentioned in this article. Get the latest information about companies associated with Iron Investing Delivered directly to your inbox.